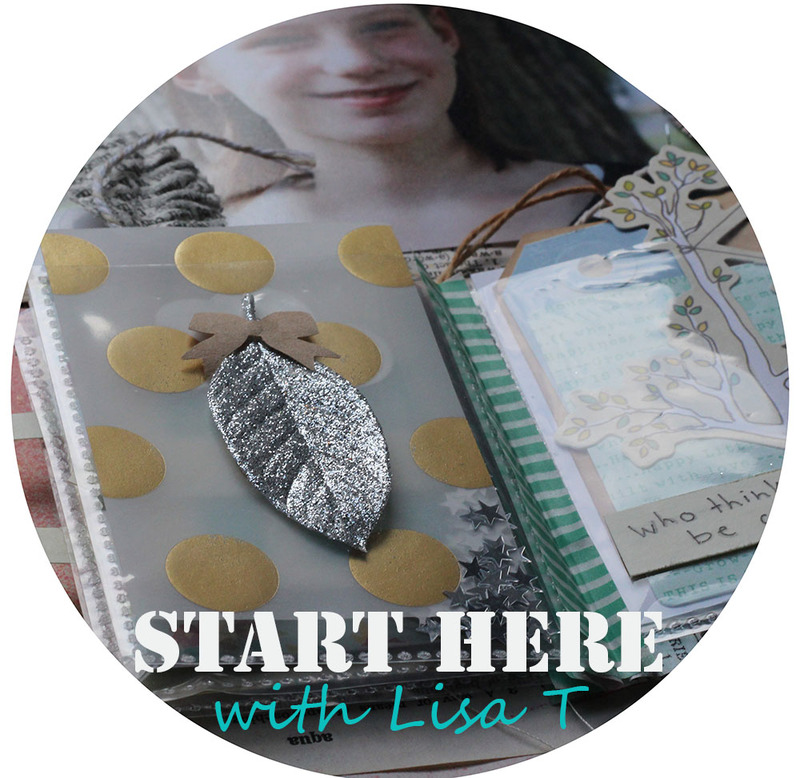 things that shine: New 2Peas workshop -- and a sneak peek! AND a GIVE-AWAY! New 2Peas workshop -- and a sneak peek! AND a GIVE-AWAY! I'm so excited to be able to post about the lastest 2Peas mini workshop! It is called start here with Lisa Truesdell, and is a great package of inspiration and awesome projects and prompts to get you scrapping. Lisa did an amazing job with this class. I sat down and read the entire class last night, and it is full of wonderful writing, insightful discussion about design and scrapbooking decisions and not to mention the projects from the other contributors are nothing short of AMAZING! I'm also so excited, because I am a contributor to this workshop and I have a sneak peek to show you today! AND, a give-away! Details below! This workshop covers three different aspects of finding and using inspiration. There are 27 brand new layouts, 3 printable PDFs, and 3 videos. There is a private message board forum for discussion and sharing inspiration -- and there are challenges to get you started! I'm taking the workshop and am really looking forward to playing along and getting inspired. To enter, leave a comment here. You must include your 2Peas user name and your email address! If you have already purchased the class, you have the option between having your class fee refunded, or giving your spot away to a friend! Give-away is open for one week and closes December 20th at 11:59 pm EST. I will announce and contact one winner on December 21st. I love your peek! This class sounds fantastic! yes!!! i would like to win this class!! I would love a chance to win!! Awesome! I'm so excited that you are included in this class!! Thank you for the chance to win a spot!! 2 peas: rebecca_lovell Thanks, Ashley!! The class sounds great and your sneak peek looks so fun. Thanks for the chance. tpgirl at two peas. I'd love to win a spot in this class and give my pages a new look! The workshop sounds like it would be fun and informative. Thanks for the chance to win a spot. Thanks for the giveaway! My two peas name is melt003 and my email is melt003@hotmail.com. I'm Chrystabel on 2Peas and would love to take this class! Thanks for the chance to win! Looks great. I hope I win.